Estelle B. Richman joined the Philadelphia Health Partnership (PHP) board in 2013 and was elected board chair in 2016. She brings decades of public service experience to her role at the foundation, where she is a passionate leader of PHP’s mission to improve the health and well-being of underserved people by advancing health equity and addressing social determinants of health through the integration and coordination of care and services in Philadelphia County. Ms. Richman is a national expert on issues of children’s services and behavioral health. She has extensive public policy, advocacy, systems change, and public and nonprofit sector knowledge and experience. During her tenure as PHP board chair, Ms. Richman has played a key role in supporting the foundation’s transition from First Hospital Foundation to Philadelphia Health Partnership and developing our refined mission and strategic agenda. Ms. Richman is former Senior Advisor to the Secretary for the U.S. Department of Housing and Urban Development (HUD), where she was responsible for oversight and management of the intersection between housing and social services. Prior to this position, Ms. Richman served as HUD’s Acting Deputy Secretary and Chief Operating Officer. Ms. Richman joined HUD from the Pennsylvania Department of Public Welfare where she served as Secretary of Public Welfare for seven years. 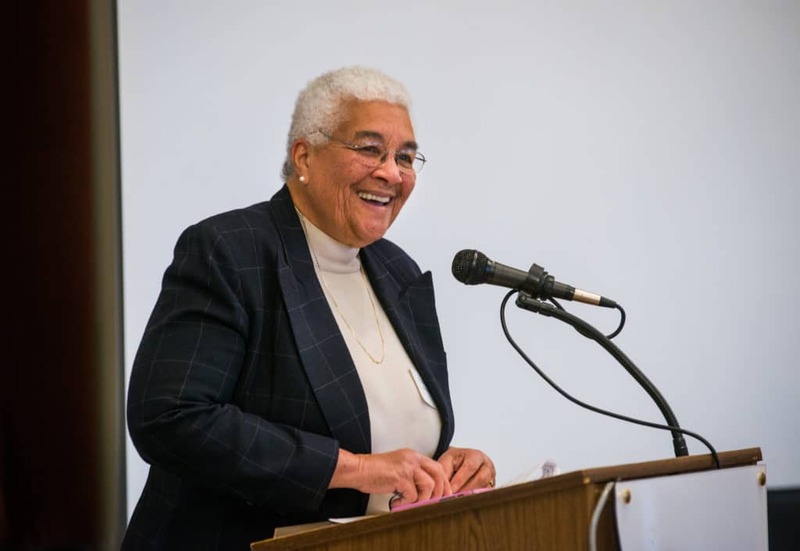 She has held numerous leadership positions for the City of Philadelphia, including serving as Chair of the School Reform Commission, Managing Director, Director of Social Services, Commissioner of Public Health, and Deputy Commissioner for Mental Health, Mental Retardation, and Substance Abuse Services. Read the following interview to learn more about Ms. Richman’s perspective on the critical importance of championing the integration of care and services, elevating community voice and leadership, and investing in early childhood health and development. As PHP board chair, you spearheaded a strategic planning process that put advancing health equity at the forefront of the foundation’s efforts. Based on your personal experience and decades of public service, what does health equity mean to you? I grew up in a segregated environment in central Virginia. My father, grandfather, and uncle were all medical doctors who practiced in a segregated environment. It was clear then and in my growing educational years that medicine and insurance were not distributed in an integrated manner. Without insurance, medical options were not available. In many cities, there were only Black hospitals, or “wards” within a white hospital were segregated. As with schools, separate was not equal when it came to health care. Early on, I knew I wanted to be part of a public system that worked to provide health care at all levels to folks that had little access to a health care safety net. Indeed, in its most basic form, health equity means that all individuals have access to health care. It is not rationed, and need is not denied. In today’s world, advancing health equity means looking at health outcomes across the population and understanding why our minority populations have significantly poorer outcomes. Further understanding the causes of current disparities can lead us to finding ways to incentivize systems to change. You are a champion of the foundation’s focus on integration and coordination of care and services to address social determinants of health. Why do you believe that fostering effective collaboration between providers in different fields and between practitioners and community members is necessary to improve health outcomes and reduce disparities? My most constant focus over 48 years of working within public and nonprofit systems has been the integration of services. From my early years of working in the child welfare system to my last position as Senior Advisor to the Secretary of the US Department of Housing and Urban Development, I witnessed how the lives of people most in need of our services rarely have only one area of challenge. Often these individuals struggle with many issues at one time—whether related to housing, food security, physical health, behavioral health, or educational and skills attainment, etc. Since we as a society often compartmentalize how we fund and deliver care and services, one field frequently does not know of challenges in other areas. Instead, we expect the client to coordinate the services of the professionals. It does not work and has not worked. We as professionals and policymakers must find more effective ways to work together to make the impact of our services more relevant. We must bear the responsibility of coordinating services, not the client. If we understand the social determinants of health, we must realize all players have a value-added role to play in improving outcomes. Philadelphia Health Partnership highlights community voice and leadership as a core priority. What are some examples from your career that highlight the power of putting communities and families at the center of the design and delivery of care and services? It is tough to choose just a few examples because I have had many wonderful connections to families and communities that have worked. Early in my career in Cleveland, I worked as program director for a center that provided educational services for children with severe behavioral problems. In that role, I wanted to ensure that parents were involved in the development of the Individualized Education Program (IEP) for their children. For instance, on one occasion, three of us met with a mom in a parking lot booth who otherwise would not have been able to participate in the IEP process. The mom felt included, which changed her attitude about the school and her child. She talked with other parents, which created a spirit of inclusion for the school and community. While at the Philadelphia Office of Mental Health, I often asked parent and community groups to write first drafts of proposals or policies. It was helpful to have their perspectives and insights. On several occasions, these documents could be used with minimal editing. There are many examples from the Department of Public Welfare/Department of Human Services, but the most significant were in relation to the Bureau of Autism services. Prior to the Rendell administration, individuals with autism could access a few funded services within the Office of Mental Retardation but only if they had a Mental Retardation diagnosis. After appointing a leadership group of three stakeholders (a parent, researcher, and practitioner), we organized a conference of parents – constituting 75% of attendees – and community leaders to design and plan an autism system. Parents took charge and designed a system that would support their children from infancy through adulthood. It was thorough and responsive to families. Most of all, it worked. We created and delivered services with funding from waivers that the Bureau submitted to the Federal Government. Today, the Bureau continues to have leadership from families and to update their research, delivery style, and outcomes. You started your career as assistant director for the Positive Education Program (PEP), a behavioral treatment program for children in Cleveland, Ohio. Moving forward to present day, you recently concluded your term as a member of the School Reform Commission. How have those experiences and others in between shaped your view of what it takes to promote child well-being? I considered the job at Positive Education Program (PEP) to be my ideal position. I did my school psychologist internship there and then spent the following nine years moving from school psychologist to assistant director. I learned about schools, children, families, juvenile court, children’s mental health, and autism. The experiences at PEP shaped my professional passion around children and families. PEP is a re-education program that adopted the philosophy of Nicholas Hobbs. Dr. Hobbs developed twelve principles of re-education. Two of the principles spoke directly to my passion. The first principle is: “Life is to be lived now, not in the past… .” The twelfth principle is: “Know joy each day; in growing up, a child should know some joy in each day….” We used education to teach behavioral control through positive interactions. My experiences at PEP led me to all my subsequent professional experiences. I used those lessons over and over again! My brief tenure with the School Reform Commission gave me an opportunity to complete the circle and again try to set the stage for education through positive interactions. I believe to this day that child well-being is best achieved if we can assure that each child experiences some joy every day. The lessons learned at the beginning of my career have served me well. One of the foundation’s strategic initiatives is focused on early childhood health and development. From your perspective, why do you believe it is important to focus on early childhood? 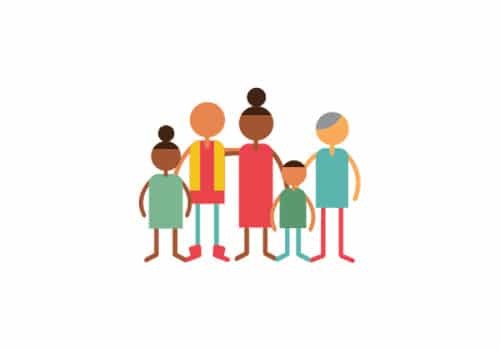 What do you view as the value of ensuring that children and families who can benefit from supports are identified and connected to care and services as early as possible? Research has shown us that the earlier we can identify stressors and challenges, the higher the probability that we can find solutions to relieve them. Children are resilient if we can recognize the issues early on and address them. A focus on all aspects of early childhood including social determinants is critical. The longer we wait to bring supports to the family, the more difficult it will be to resolve the stressors. While we cannot abandon our initiatives for older children and youth, our best long-term results will come from intervening early in life. We know so much more about the development of the brain of a young child than we used to and are continuing to learn about how they process information and how and why they are unable to process information. Helping young children to understand their world and thrive involves engaging everyone who interacts with children and families: from people working in prenatal care and home visiting to those striving to provide safe childcare and appropriate educational experiences that address all social determinants. As you think about your own role as a civic leader moving forward: What fuels your passion and gives you hope about making progress towards PHP’s vision of a Philadelphia in which everyone has an opportunity to achieve optimal health and wellbeing? These days, my passion is derived from knowing how far we have come over the decades in which I have be working to promote equity in its various guises and thus feeling assured that we can continue to create environments for families and professionals to learn, grow, and change. I consistently meet young professionals who are eager to change their world, and I am excited to offer support. I serve on six nonprofit boards and two foundation boards. I continue this degree of commitment because it gives me an opportunity to share my experiences and to nurture upcoming leaders. I am particularly passionate about foundation boards because there we are able to shape policy by funding research and nourishing new ideas and approaches. Finally, what is a fun fact that you would like to share with PHP readers? I am addicted to computer games and tend to be very good at them. My favorite games were and are Tetris, Angry Birds, and currently Candy Crush. I also spend time on Sudoko and crossword puzzles. My rational for playing these games is that they require concentration and help clear my mind at night so that I start everyday anew!